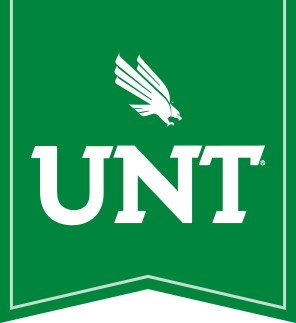 The First-Year Composition Program at the University of North Texas reflects a central commitment to pursuing the study and practice of writing as a meaningful, complex activity defined not only by processes, forms, grammars, and styles, but also by the acts of discovering, exploring, and listening to the world around us. We believe that each writer has a stake in shaping the world through writing. For this reason, our courses at UNT prepare students to intervene rhetorically in a variety of communities, including both academic and nonacademic contexts. Through our curriculum, students learn to use a wide repertoire of strategies, styles, forms, and conventions in order to engage most effectively with diverse audiences. Strong habits of rhetorical analysis and production are developed in a number of effective classroom practices, including collaboration, discussion, reflection, and, of course, frequent opportunities to write and revise. Overall, we invite students to join with us in questioning writing: this process of questioning includes exploring new forms and contexts for writing that are emerging constantly around us. By the time students have completed the courses in the Introductory Writing sequence, they will be prepared to respond appropriately to the demands of writing they encounter as they move into new settings both in the university and beyond. College Writing I, the first sequence of the Freshman Writing Program, introduces students to rhetorical strategies as a language for developing new insights about writing and new skills for composing written texts. College Writing I focuses particularly on the invention of written texts that address interesting social phenomena in students' social groups and communities. Students in this first sequence of writing learn what ancient rhetoricians called copia--a wide repertoire of writing strategies (including narration, description, amplification, and arrangement), that give writers options for addressing diverse audiences and contexts. Through experiences with several practice exercises called progymnasmata, students learn to analyze rhetorical contexts successfully and create strategic, persuasive written texts that address the commonplace values and expectations of audiences. Emphasis is placed on development of ethos and pathos as rhetorical strategies alongside more familiar strategies of logical arrangement and well-reasoned argument. In addition to primary readings in rhetorical and writing strategies, students also read a longer nonfiction text in each course that exposes them to urgent and interesting issues in contemporary culture. The final project in the course asks students to use the strategies they have been learning to create a "textual artifact" that demonstrates successful rhetorical intervention within a particular community (to be defined and analyzed by each student). College Writing II, the second sequence of the Freshman Writing Program, builds on the rhetorical principles of College Writing I by providing students with the opportunity to study, experience, and practice the basic rhetorical elements of academic writing, including thesis statements, claims, support, and counterargument. The College Writing II course is designed to anticipate students' need for a flexible framework of academic writing that will help them think through rhetorical situations extending beyond the first-year course. For this reason, students in College Writing II learn the rhetorical strategies of stasis theory, logical proof, and extrinsic proofs (such as data, facts, and textual authorities) as means of expanding their ability to invent arguments in diverse academic settings. The course also asks students to consider a range of perspectives on important contemporary issues and encourages students to engage academic audiences with accommodating, thoughtful, and well-supported written responses. The final assignment in this course asks students to write a thoroughly researched essay recommending action on a sensitive and timely social issue. Required nonfiction reading in College Writing II exposes students to longer, complex arguments about exigent social issues.